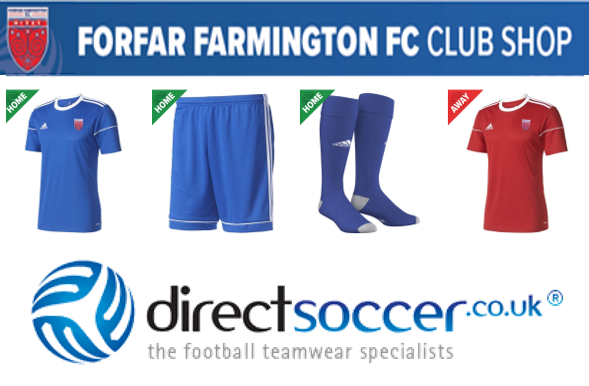 Forfar Farmington are a partner in the “Station Park Community Trust” alongside Forfar Athletic. All SWPL games are played on the 3G Pitch at Station Park. Market Muir sitting in the shadows of Forfar Athletic’s Station Park, has always been a popular sporting and recreational venue within the town. In 2007 the club secured the lease of an area of the Market Muir from Angus Council – sufficient to allow the club to push on with a most ambitious vision. Many hours of toil and sweat by a dedicated group of volunteers, along with financial support from Sportscotland and the Angus common good fund, resulted in the erection of an impressive club base on the south-east corner of the football pitch at Market Muir. The opening of the new building marked the culmination of an ambitious project which involved a massive fund-raising drive, the sourcing of grant aid, the relocation of a former hospital ward building from the former Forfar Infirmary site to the Market Muir, and its transformation in 21st century facilities for use by all those involved in Forfar Farmington Football Club and other groups within the community. The original building comprises a spacious clubroom, two changing rooms, shower rooms, a kitchen, equipment store, together with male, female and disabled toilets. To the front is a 0.5 metre raised timber veranda, with a disabled access also included in the completed structure. In addition, the Market Muir pitch is floodlit, allowing local football clubs to continue to enjoy their favourite sport when darkness descends. In late 2011 the building was extended with the formation of a 2nd storage facility and goal stowing area.